The DART spacecraft re-entered the atmosphere on Saturday, May 7, 2016 after over a decade in orbit, following a launch in April 2005. DART – the Demonstration for Autonomous Rendezvous Technology – was a project sponsored by NASA to demonstrate a series of autonomous navigation and rendezvous technologies including autonomous orbital transfer maneuvers to reach a target satellite, proximity navigation using an advanced video guidance sensor and different formation flying exercises. 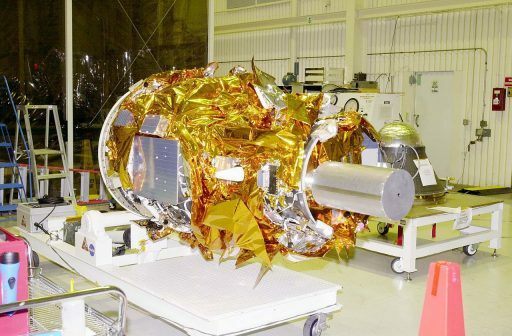 The DART spacecraft, measuring around 2 x 1 meters in size with a launch mass of 390 Kilograms, was built by Orbital Sciences (Now Orbital ATK) and hosted a thruster system comprised of 16 Nitrogen Cold Gas Thrusters, three Hydrazine-fueled thrusters, and six additional nitrogen thrusters from the fourth stage of the Pegasus launch vehicle that were used for maneuvering. 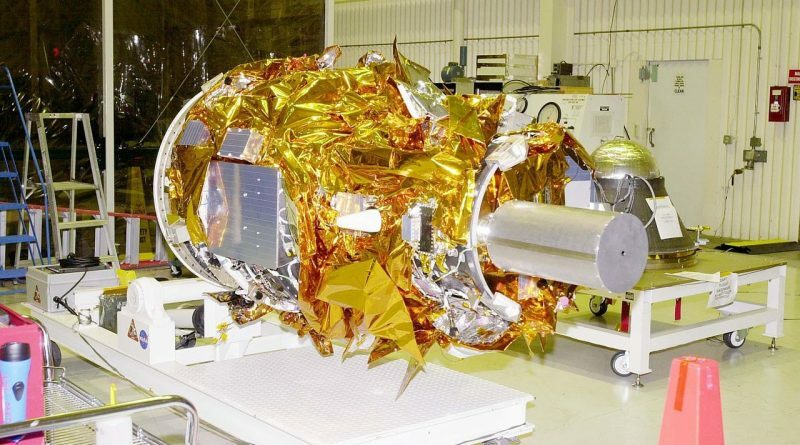 The target spacecraft for the navigation exercises was MUBLCOM – Multiple-Path Beyond-Line-of-Sight Communications, a 49-Kilogram communications relay demonstrator launched in 1999. Launched atop Pegasus, DART successfully adjusted its orbit and made its automated rendezvous with the target satellite, acquiring it with its sensors and initiating an autonomous approach. During proximity operations, DART suffered multiple malfunctions in its navigation, propellant management and collision avoidance system, resulting in a small-velocity collision between DART and MUBLCOM. Because DART did not have a backup system for remote-control from the ground or re-programming of its systems, the mission ended prematurely after 11 hours out of a planned 24-hour test program. It was determined that DART approached its target without accurate range information from its Advanced Video Guidance Sensor followed by a failure of the collision avoidance system. Impact occurred at a relative velocity of only 1.5 meters per second and both satellites remained functional after the event. Because DART used up its limited propellant supply faster than planned, the spacecraft automatically initiated its retirement program only four minutes after the collision, maneuvering from a 740-Kilometer circular orbit to a lower orbit to deorbit according to Space Debris Mitigation Guidelines. Only 11 of 27 mission objectives were partially or fully met over the course of the half-day operational mission. None of the achieved objectives were related to the actual proximity operations phase of the mission. 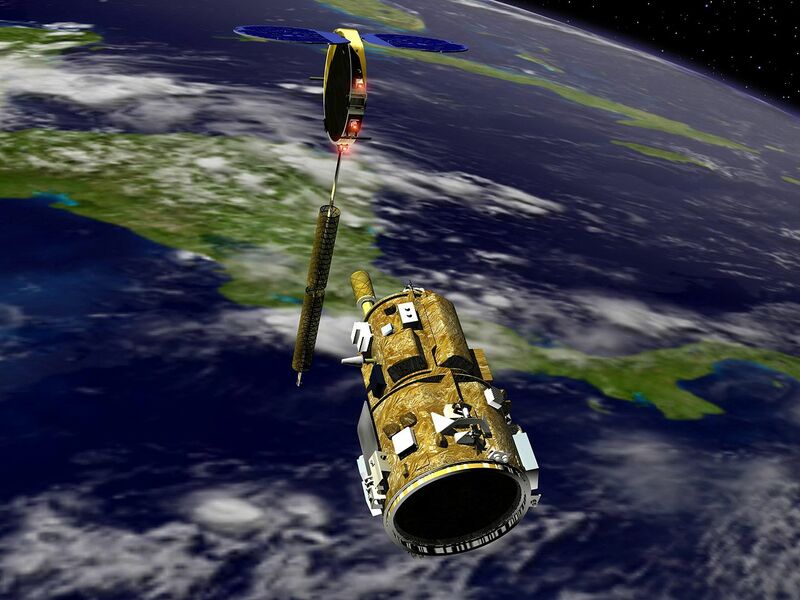 Since the end of its mission, the satellite slowly descended from a retirement orbit of 400 x 470 Kilometers. Re-Entry of the spacecraft occurred around 8:32 UTC on Saturday over the South Pacific Ocean on a north-west to south-east pass of the spacecraft. With re-entry over an open stretch of ocean, no observation reports can be expected from the event.